One of the best but also frustrating things about football is that it is just like life: it is fun, but can be sad, happy, unfair, annoying; sometimes the ones that play most beautiful win, but other times, cynicism, cunningness, intelligence or mere spirit win a match. FC Barcelona have been an example of beauty and skill over the past seasons, but tonight they got eliminated by a better Inter team that did not play as entertaining, but who nevertheless won through discipline and fight. FC Barcelona completely dominated the match, in particular after Thiago Motta's early red card; they were in complete possession, but were given so little space that their open chances were almost non-existant. In spite of the late goal by Piquet, it was always doubtful that the Catalonians, in spite of their possession and dominance, could score a second against such a powerful wall that had been built up in Inter's defence. The match ended 1-0 for Barcelona, but it wasn't enough to upset the well-deserved 3-1 victory to Inter from the first match. Although the season is not over yet, the title as best team of the world is looking to be passing from FC Barcelona to Inter Milan this season: the Italians now have a good chance of winning a triple (Italian Cup, Italian triple and the Champions League), while FC Barcelona only has the meagre Spanish league title to fight for (meagre as the Spanish league is basically a two-team league, with the rest being second-class European sides) - one they may yet lose! Many people will perhaps not be happy about this passing of the title from a team that has thrilled by its offensiveness, to a team whose strength lies in discipline and fight. But hey, that is life! 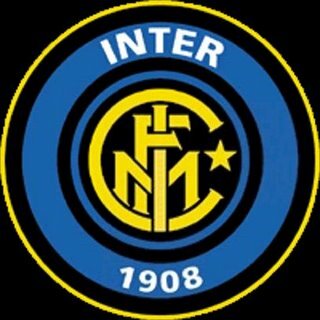 Congratulations to all Inter fans, and may I count myself as a small one! With three goals the Croatian and Bayern striker Ivica Olic was crucial in giving an excellent Bayern Munich team the spot in this season's Champions League final in Madrid. Still, he was not the only star in the victory: the German side was far superior to an Olympique side that seemed nervous and overwhelmed by the importance of the match. A lot of people are saying that the Barcelona-Inter match tomorrow is the real final, as if Bayern Munich didn't matter. However, nothing could be more dangerous than underestimating the German side that has been growing the entire tournament under the coaching of Louis Van Gaal. Surely, no matter which team they will face in the final, they will be aiming for the title, and will have a good chance to win it! Argentina and England still have the only cross-continental rivalry in international football, and when they play it is bound to be a hyped-up media affair. In the 1998 World Cup in France, both teams entered with enormous expectations. Argentina had put behind them the disappointing scandals of the 1994 World Cup, and coach Daniel Passarella had assembled a strong team with a list of strong players from some of the top clubs in the world. Some of these players included Sampdoria’s Juán Sebastián Verón, Valencia’s Ariel Ortega and Claudio López, Napoli’s Roberto Ayala, Inter’s Diego Simeone and Javier Zanetti, as well as some extraordinary strikers, notably Fiorentina’s Gabriel Batistuta and Parma’s Hernán Crespo. In spite of the awesome quantity of quality players, the team had been immersed in controversy, not least because of Passarella’s discipline: players were told to cut their hair or they would be out of the team, something that meant the exit of Fernando Redondo and Troglio. Also, there had been controversy regarding rumours of doping and internal disagreements. Still, Argentina seemed a team in harmony and very strong, starting the tournament with three victories against Japan, Jamaica and Croatia and a score of 7-0. After not participating in the 1994 World Cup England was now coached by the former star player Glenn Hoddle, and had qualified ahead of Italy in a close group. The team was good, with players from all the strong teams in the Premier League, notably Machester United’s David Beckham, Newcastle’s dangerous striker Alan Shearer, and Liverpool’s Steve McManaman and Paul Ince. Also, the squad included Michael Owen from Liverpool, an 18-year old rising star who already in his first season for Liverpool had been top scorer in the Premier League, and had in may in a friendly match against Morocco already become the youngest player to score for England. Glenn Hoddle had on the other hand left out players such as Paul Gascoigne (who went into a rage and had to be restrained when he learned that he had not been selected for the squad) and Phil Neville. Although it was certainly a team to be reckoned with, the English were not as awesome as other teams, and they didn’t necessarily impress in the first round: after opening with an obligatory 2-0 win over Tunisia, the English went on to lose 2-1 against Romania. In this match Michael Owen, who had been left out in the opening match, had come on and scored England’s goal. He had thus started in for the next match against Colombia, where England won 2-0, with David Beckham scoring a beautiful free kick goal. Now Argentina and England, who had last faced one another in a World Cup in the legendary 1986 quarterfinal, were to face one another again in the last-16, and the entire attention of the football-world immediately shifted to this match in Saint-Étienne. The match started dramatically: after five minutes Argentina went ahead when the outstanding Fiorentina striker Gabriel Batistuta brought Argentina ahead 1-0 on a penalty kick. But England had in fact started with the best pace, and four minutes later, Newcastle’s Alan Shearer equalized for England after a penalty kick after the 18-year old young Michael Owen was brought down by Roberto Ayala. It looked very much like a dive by the young Englishman, but the Danish referee Kim Milton gave the penalty anyway. The match was thus levelled when the 18-year old Michael Owen took matters into his own feet, and scored one of the best goals of world cup history only 16 minutes into the first half: he received a long ball in the Argentine half and slalomed his way towards goal, outrunning the Argentinean defender José Chamot, and elegantly getting around Roberto Ayala in full speed, he kicked the ball perfectly into goal with no chance for the goalkeeper Carlos Roa. It was incredible work by the youngster, and England was ahead. The match moved back and forth, with chances for both teams, but nothing happened until the very last minute of the first half; Argentina was given a free kick just outside the English penalty area. In a set kick, Juán Sebastián Verón completely surprised the English defense when, instead of shooting on goal he passed the ball to Inter’s Javier Zanetti standing inside the English area just at the edge of the defensive wall, who turned quickly and elegantly curved the ball around the English goalkeeper David Seaman. 2-2 at halftime in what had been a splendid first half, and the second half started with drama: Diego Simeone had made a foul against Beckham, who in frustration kicked out after Diego Simeone. The Argentinean totally overdid his pain, but the Danish referee was standing right next to the situation, and gave Simeone a yellow card and David Beckham a direct red card. Beckham’s reaction was obviously thoughtless, and he was blamed for the eventual loss: a headline described the team as: "10 Heroic Lions, One Stupid Boy”, while Beckham for months was followed by hateful taunts wherever he went in England. It was probably a period that matured the elegant and posh player, as he had to win back the confidence of his fans (and he eventually did, as all great players do, acting with more modesty and concentrating on his excellent footballing skills). England was now pushed back on the defensive against the experienced Argentineans. Indeed, England defended heroically, and even managed to get some big chances, among them an annulled goal by the Tottenham defender Sol Campbell. The dramatic match ended 2-2, and when the extra time ended goalless, the match had to go into what was a nerve wrecking penalty shootout. It was looking good for England when the Arsenal goalkeeper David Seaman saved Argentina’s second shot, by Hernán Crespo. However, the kicks were levelled already on the next shot when Carlos Roa saved the shot from Liverpool’s Paul Ince. Everybody scored on the following kicks right up to when Newcastle’s David Batty was to kick the last penalty for England, at the score 4-3 for Argentina. Carlos Roa saved, which meant that Argentina won. While England went home, Argentina fell in the next round against the Netherlands 2-1 (the victory goal by Dennis Bergkamp was one of the best goals in World Cup history). This quarterfinal between England and Argentina was thus not a match between the two best teams in the world; but the drama, the media hype and the fact that some of the best players in the world were there (and notably Beckham to make the mistake that oddly made him so unpopular in England) turned this into another match to add to the mounting classics of this the only cross-Atlantic rivalry that goes far beyond football; it is about something much deeper that England and Argentina have more in common that any other nations on planet-football: football-passion and –arrogance. In the 1996 European Championship Croatia was the first ex-Yugoslav republic to participate, and made it to the quarter-final, establishing themselves as a power to be reckoned with. And the team was indeed full of physically strong and technically extraordinary players which included: the team’s captain Zvonimir Boban was a star at AC Milan (and a hero in his country after he had attacked a policeman in a match in the Yugoslav league in 1990 to defend a fan of his team Dinamo Zagreb); the extraordinary young defender Dario Simic from Dinamo Zagreb, who was soon to change to Inter Milan; the ageing Robert Prosinecki who had represented Yugoslavia in 1990 and had a successful career in among others Red Star Belgrade and Real Madrid, was now in Dynamo Zagreb; and the veritable goal-making machine from Real Madrid, the extraordinary Davor Suker. The Croatian side had started its first World Cup with two victories against the rather weaker sides of Jamaica and Japan respectively, and already qualified for the next round, had lost 0-1 to Argentina. In the last-16 the Croatians defeated another Balkan team, Romania, and were now to face Germany in what would be the true test of their strength. Two years previously, when Croatia had played their first major tournament as an independent nation at the 1996 European Championships, they had been eliminated by Germany in the quarterfinals, and the Germans had gone on to win the tournament. After a disappointing exit from the 1994 World Cup, the Germans had risen to the top of Europe in 1996, and were now again considered a serious contender for the world title. The team had a number of veterans from their last title, in 1990, notably their captain, the legendary Lothar Matthäus, who was playing his record-breaking fifth World Cup. But other veterans included the Borussia Dortmund defender Jurgen Kohler, Karlsruhe’s small midfielder Thomas Hässler, and Tottenham’s now legendary striker Jürgen Klinsmann. In spite of the advanced age of the team, they had not had major difficulties continuing from the first round: they had started by defeating the USA, and then tying Yugoslavia 2-2 before defeating Iran in the match that gave them the top spot in the group. In the last-16 the Germans had shown that they should never be written-off: 1-0 down against Mexico until 15 minutes before the end of the match, Klinsmann and Udinese’s Oliver Bierhoff both scored to give Germany the spot in the quarterfinals against Croatia in what many obviously expected to be a repeat of the Euro 1996 quarterfinal. It became a great football match which Germany started best: in the first half they completely dominated and had some big chances, including a couple of great shots by Thomas Hässler and a close header by Bayern Munich’s Didi Hamann that was spectacularly saved by the Croatian goalkeeper Drazen Ladic. But in the 40th minute of the match one event changed the match: the Croatians sent a long ball to Davor Suker, who was clumsily tackled by the German defender from Bayer Leverkusenn Christian Wörns. Wörns had until this point undoubtedly been one of the best players of the tournament; an incredibly stable sweeper on the last line of defence for the Germans. But his clumsy tackle on Suker (who completely overdid his acting as well) earned him a direct red card, and was a huge weakening of the German team that had otherwise looked nearly unbeatable until then. It was obvious that Wörns’ exit immediately gave the Croatians more space, and within the next five minutes they had their first chances. In the 45th minute, the Germans gave the Parma midfielder Mario Stanic a lot of room to run down toward the German area. He passed the ball to the Real Betis’ winger Robert Jarni, who was given plenty of time outside the German penalty area. His shot was not particularly hard, but was out of range for the German goalkeeper Andreas Köpke. It was a big surprise, but Croatia was ahead 1-0 at halftime. Second half was extremely entertaining as a 10-man German team showed their best side by attacking well and never giving up, but the Croatian side being extremely dangerous in the counter-attack and the increased space they were getting by the German offense. The Germans had some extraordinary chances, among which was an incredible shot by Oliver Bierhoff and a shot on the post on a free-kick by Didi Hamann. On the other side there were excellent chances to Davor Suker and to Valencia’s Goran Vlaovic in what had become a very entertaining match. Ten minutes before the end of the match Croatia finally scored in what seemed to seal their victory on a shot out of range for Köpke from Goran Vlaovic. As the Germans stubbornly pushed forward, Davor Suker scored a third for the Croatians five minutes later, after expertly controlling the ball inside the German area and placing the ball under Köpke. Suker was to become the most scoring player of the tournament. This was one of the most painful defeats Germany had ever suffered, and the following years caused a renewal in the German national team. Croatia on the other hand had arrived on the world stage and were to play the hosts from France in the semi-final. They lost 2-1, but in the match for bronze they defeated the Netherlands. Croatia was ranked 125th in the world in 1995 when they were admitted to FIFA, and was third three years later, making the team the best mover in ranking in World Cup history. The result also meant a lot for the evolving identity of the newly independent Croatia: the wave of national pride that swept the country, and was also summarized by the Croatian coach Miroslav Blazevic, who said that his small and valiant country had found its identity through football. The history of football goes parallel to the history of the world, and sometimes football matches have been more noted for their political significance than for their footballing importance. The USA against Iran in the first round of the 1998 World Cup in France was such a match. Since the 1979 revolution in Iran, the two countries had no diplomatic relations and relations had been (and continue to be) quite tense. In that regard, it raised some eyebrows then the two countries drew each other in the first round, together with Yugoslavia and Germany. Undoubtedly, Germany and Yugoslavia were considered the favourites in a group where Iran and USA were nothing but footballing dwarfs. Still, the match drew a lot of attention, in particular in the football-crazed Iran, where a victory against the USA apparently meant more than even progressing to the next round. In the USA, football (or soccer) remained a small sport, although it was growing after the successful 1994 World Cup. A Major Soccer League had been started in the country, and many of its players were getting experience playing in Europe. Although still a minor player in footballing terms, there was no doubt that it was a growing power. In spite of this, the team had before the tournament and been full of internal intrigues that was truly affecting the team on the pitch. The team had started the tournament by losing 2-0 to a strong German side. Football in Iran is immensely popular, and in the 1970s Iran dominated the Asian championships and in 1978 also qualified for their first World Cup. However, the political turmoil and war with Iraq also influenced the national football side, that throughout the 1980s was absent from international football (they did not even play qualifiers for the 1982 and 1986 World Cups). But in the 1990s Iranian football began to recover, something that culminated in 1997: in a close 2-game play-off against Australia, Iran qualified for the World Cup in France, and the country celebrated wildly. Iran’s team was without doubt very talented. The star was Arminia Bielefeld’s Ali Daei, who was soon to join Bayern Munich, and is still the player that has scored most goals on international matches ever (109 goals, ahead of Ferenc Puskas and Pelé). But there was also the charismatic and strong midfielder Karim Bagheri, also from Arminia Bielefeld, the FC Cologne striker Khodad Azizi, and the young super talent from Bochum, Mehdi Mahdavikia. Iran had started the tournament with a narrow 1-0 loss to Yugoslavia. Therefore the second match where the USA and Iran faced one another was crucial: the loser would be definitely out of the tournament even before the last match. However, this circumstance was largely overshadowed by the media attention around the political situation between the two countries. Before the match, both teams showed some of the greatest sportsmanship, exemplifying to both their hostile governments that football is not politics. The team’s players presented each other with flowers and gifts, and the team picture was taken together. Nonetheless, in sporting terms, both teams needed a victory, and both started out carefully, seeing off each other, with sporadic chances and fighting strongly. In particular the Iranians were motivated by the largely Iranian crowd cheering them on, and they increasingly dominated the match. Only five minutes from halftime, a cross from Javad Zarincheh into the US area was beautifully headed into goal by a completely unmarked Hamid Esteli, from the Iranian club Bahman F.C. Esteli’s euphoric celebration was reminiscent of Tardelli’s when he scored in the 1982 World Cup final. In the second half the North Americans had to put more pressure to get an equalizer as the match grew in intensity. The Iranians fought hard, stood well in defence, and were increasingly dangerous on their counter-attacks with their quick strikers. It was in one of these counter-attacks that Iran went ahead 2-0: Ali Daei elegantly got between three US players and made a deep pass to Mahdavikia. The US defence was completely torn apart and Mahdavikia had the option to pass to a team-mate who was alone in the centre, but instead he rushed straight towards the North American goal and shot hard in the low corner. The last eight minutes of the match were perhaps much more dramatic that they should have been. Instinctively the Iranians pulled back to defend, while the US pushed all forward. Soon after the Iranian goal, the first warning came when the French-American defender David Regis hit the post in an open position. And only three minutes before time the Columbus Crew striker, Brian McBride scored on a diving header. At the score 2-1 the Iranians were very nervous, and the Americans had some good chances. But the score held to the end of the match. The victory was very important for Iran, as it also represented their first World Cup victory ever. But after losing their final match 2-0 to Germany, they were out of the tournament. The US also lost 1-0 to Yugoslavia in their last match, and thus exited the tournament with three loses as the worse team together with Japan. This match was the most important ever between footballing midgets. The US has continued with huge advances in football, qualifying for every world cup since, and even making it to the quarter-finals in 2002. Iran participated in the 2006 World Cup, but lost to Mexico and Portugal and tied Angola. FC Barcelona has been tamed: the seemingly invincible Catalonians will be facing their biggest challenge ever when they face Inter Milan in Barcelona next week, after losing 3-1 in Milan tonight. Although the Italian's second and third goal were very controversial (an apaprent foul against Messi and a clear offside of Diego Milito), it could not take away the fact that Inter were much better than FC Barcelona, and that they have perhaps found the formula to defeat them: pressure all over the pitch, particularly on Xavi (they effectively stopped the "brain" behind the team) and on the defenders, without giving Lionel Messi any space. Their fighting spirit was formidable, and in particular Inter's captain Javier Zanetti was spectacular, outshining any of the Barcelona stars. He simply seemed to be everywhere on the pitch. Although anything can happen in football, scoring twice against Inter seems almost impossible. But if anyone can do it, it should be FC Barcelona. Next week's match will be extraordinary. I will still put my money on Inter to be one of the finalists. The 1994 World Cup in the USA was a strange world cup: on the one hand it meant a rebirth of football in the sense of a wider commercialization as ever seen before, and the fans (who in USA showed a new friendler side) responded by showing a friendlier and more partying side. At the same time, some events put a dark shadow over the world party, notably the murder of the Colombian player Andrés Escobar after scoring an own-goal against the USA that eliminated Colombia, but also the entire scandal about the ever-controversial Diego Maradona, who scoring against Greece in his opening match, was suddenly tested positive for ephedrine, an astma medicine that was not even considered an illegal substance by the IOC, and banned from the tournament effectively eliminating a splendidly playing Argentinean side. On the pitch new rules had been introduced that (more or less) successfully called for more attacking football: a relaxing of the off-side rule, the ban on the goalkeeper picking up the ball when passed from a team-mate, and the introduction of 3 points for a victory instead of 2. All these things surely contributed to more goals and exciting matches than the meagre 1990 World Cup. Also, as some giants like England and France failed to qualify, some new countries stepped in, notably Bulgaria and Sweden, who both made it to the semifinal. That said, the quality of football itself seemed to decay: there were many mediocre matches, and it seemed that ultimately even new rules could not change the fact that the two World cup giants of Italy and Brazil were to face one another in the final, after playing a defensive and robotic style of football the entire tournament. Italy had started the tournament rather weakly: in their first match they had lost 1-0 to Ireland. In the second match the Italians had defeated Norway 1-0, and 1-1 in their last match against Mexico had been just enough to let them through to the last-16 on one of the best third places that this was the last tournament to play with. In the last-16 Italy was up against the African debutants from Nigeria, who had sensationally won their group ahead of Bulgaria and Argentina. The Nigerians were leading 1-0 until two minutes before time when Roberto Baggio from Juventus had levelled the match for the Italians, and in extra time he scored on a penalty to give the Italians the place in the quarter-final against Spain in Boston, Massachussetts. Roberto Baggio, the clear-eyed calm Buddhist, was one of the most extraordinary players ever to come from Italy. With his extraordinary skills and overview of the game, he was to become the star for the Italian side in 1994: in the quarter-final against Spain he scored a beautiful goal to give Italy the victory when they were most pressed by the Spaniards, and in the semifinal he scored both goals in Italy’s 2-1 victory against Bulgaria. The expectations to Roberto Baggio were huge before the final against Brazil as he had been the machine of the Italian team. Although Brazil had entered the tournament as favourites, they had not been the kind of Brazilian team that everyone loved to watch: after the debacle in the 1990 World Cup and 24 years without victory the coach Carlos Alberto Parreira had focused more on a tactical and physical style of play where the defence was in focus. That said, Brazil had some awesome offensive power with FC Barcelona’s Romario, the most extraordinary striker of the 1990s, and Deportivo La Coruña’s Bebeto, who were surely the most awesome strikers’ duo in the tournament. Still, the brazilians didn’t score that many goals in spite of their good first round with 2-0 and 3-0 victories against Russia and Cameroon respectively and a 1-1 tie against Sweden, that gave them the first place in the group. In the last-16 the Brazilians narrowly defeated the US hosts 1-0. In the following quarter-final Brazil played the best match of the tournament against a strong Dutch side that was defeated 3-2 on goals by Romario, Bebeto and Branco. In the semifinal the Brazilians were again up against Sweden, and the Scandinavians were defeated 1-0 on a goal by Romario. Brazil were in their first World Cup final since 1970, and this largely silenced the many critics of the team that was being accused of not playing the style that Brazil was known for. Italy against Brazil – one of the most classical matches in world cup football and a repeat of the 1970 final – was to be played in the Rose Bowl in Pasadena as the entire world looked on with great expectations. The match between two countries that were contending to become four-times world champions, was a huge disappointment. Both teams struggled for control of the midfield, with none really gaining control. And although there were some chances, there was no really great opportunity for either team, except for a free run for the AC Milan striker Daniele Massaro in the first half that was excellently saved by the Brazilian goalkeeper Claudio Taffarel, and only fifteen minutes from the end of the match Brazil hit the post when Pagliuca clumsily mishandled a shot from Mauro Silva that nearly cost Italy the match (and famously thanked the post). In extra time the goalless draw continued, although Pagliuca made yet another dreadful mistake that left Bebeto with a completely open goal, that he nevertheless missed. Also, Taffarel made an excellent save on a long-range effort by Roberto Baggio. It was the first goalless draw in a World Cup final ever. And it was thus also the first world cup title to be decided on penalty kicks. Claudio Taffarel, playing in the Italian Reggiana, was an often criticized goalkeeper, but truth is that he was one of the most stable goalkeepers Brazil had ever created. He played with enormous success later in Galatasaray (he was man-of-the-match in their UEFA cup final victory against Arsenal in 2000) and is still the most capped goalkeeper on the Brazilian national team (101). And besides his stability, Taffarel was considered an expert at reading out penalty kick takers. In previous tournaments he had saved many penalties, and in this tournament he had saved two penalties in the semifinal against the Netherlands. The first to kick was AC Milans veteran defender Franco Baresi. He had played an extraordinary match in defence in spite of an injury, but at the moment of kicking, he was unable to keep his nerve, and shot the ball far over the goal. But when Mauro Silva shot directly on Pagliuca for the following kick, the match was still 0-0. At the score 2-2, Daniele Massaro’s shot was saved by Taffarel, and then the Brazilian captain Dunga scored for 3-2 for Brazil. The next kick, by Italy’s superstar, Roberto Baggio was crucial, since Baggio had to score, and then the Italians had to hope Brazil would not score on their last kick. Roberto Baggio shot far over the goal, and last missed kick of the tournament was what made Brazil World Champion for the 4th time. It was surely the most memorable moment of the match. Roberto Baggio’s tears are probably more remembered than the Brazilian celebrations, as this great and fair player had missed at the most important moment, although he was also the one to be credited for Italy getting this far. The search for extraterrestial life has stoppped: it has been confirmed that Lionel Messi is from another planet. Only a couple of months ago it seemed given that the Italian championship would end up in Milan: Inter was top of the table with AC Milan following suit. Nobody seemed to be looking at AS Roma under coach Claudio Ranieri. But then results started to flaunder for the Milanese, and a couple of weeks ago, AS Roma seriously entered the fight for title when they defeated Inter at home. With this weekend's results AS Roma has gone to the top: AC Milan only tied in Catania, and so did Inter, 2-2 against Fiorentina. This meant that AS Roma, with a 2-1 win over Atalanta, now takes the top spot with 18 points, one more than Inter, and now has all the opportunities to take the title with five games left. One of the many things that makes Barcelona the best team in the world at the moment, is that when everyone is talking about Lionel Messi, another player steps in and shines: Xavi today played a world class match against Real Madrid, and was truly the architect behind Barcelona’s 2-0 victory on the Santiago Barnabeu in Madrid. Barcelona is now heading towards the title. One can only feel a bit sorry about Real Madrid: they played a good match, putting pressure all over the pitch, many players in attack and an excellent fight (I have never seen Real Madrid fight in such a spirited way). But Barcelona is truly extraordinary: they can tackle and fight back, until they have possession, and when the possession is achieved, they drain the opposing said of energy by letting them run after the ball. And the architect in this possession is Xavi: he was truly of a class of his own. He made the passes for both goals by Messi (scoring again…) and Pedro. At the same time, Barcelona’s defence was also very strong and disciplined: Piqué and Puyol are surely two of the best in the world in this position, while Milito should be pushing for a place in the staring line-up after his match against Arsenal and today’s match. After the victory of West Germany and the reunification of the two Germanies it would seem that the 1990s would be poised to be the era where German football would dominate. Although the unified German team had not managed to defeat Denmark in the final of the 1992 European Championships, the team was strong and motivated to defend its title at the 1994 World Cup in the USA. The team was indeed very strong, still captained by Lothar Matthäus who was now playing in Bayern Munich; and including the strong veteran defenders such as Juventus’ Jurgen Koehler, Stuttgart’s Guido Buchwald and Andreas Brehme (now in Kaiserslautern), the small creative Thomas Hässler from AS Roma and a now legendary forwarding duo of Jurgen Klinsmann and Rudi Völler. While some strong European nations like France and England had been unable to qualify, all eyes were on the Germans, who came in as heavy favourites. In the first round the Germans played well without being overwhelming: they defeated Bolivia 1-0 in the opening match and tied Spain in their second match. In the last match they were three goals up against South Corea, but almost threw the victory away in a match that they won 3-2. Of Germany’s five goals, four had been scored by Klinsmann who was changing club from AS Monaco to Tottenham (and he was very successful in every club where he played), so he was looking awesome as Germany faced Belgium in the last-16 and won another close 3-2 victory on two goals by Olympique Marseille’s strong veteran striker Rudi Völler (appearing in his third World Cup) and one by Klinsmann. The Germans were feeling confident as it became clear that they were to face Bulgaria in the quarter-final. Bulgaria was participating in their sixth world cup, and their qualification had been sensational: in their last qualifying match they had to defeat France in Paris, and after being 1-0 down, two goals by FC Porto’s Emil Kostadinov gave them a very unexpected victory, and qualification at the expense of France. However, Bulgaria entered the tournament with the statistic that they had never won a world cup match, and it seemed a difficult thing to change as they got into a difficult group with Argentina, Nigeria and Greece. They started poorly by losing 3-0 to Nigeria, but the second match against Greece gave them a resounding 4-0 victory. An Argentinean crisis, where Maradona had been banned from playing after testing positive for illegal drugs, gave Bulgaria the upper hand in their last match, and they won 2-0 to qualify for the last-16, where they faced Mexico, and won 3-1 on penalty kicks after a very boring match. Still, it meant nothing, as Bulgaria had already achieved their best World Cup ever. It was nevertheless not a coincidence: Bulgaria’s team was probably the most talented generation of Bulgarian footballers ever: besides Emil Kostadinov, the team also had an extraordinary goalkeeper in Boris Mihaylov, Hamburg SV’s Iordan Letchkov, Sporting Lisbon’s Krassimir Balakiv, and the star above them all, the extraordinary and temperamental Barcelona striker Hristo Stoitchkov. The Bulgarians had already shown that it would be unwise to underestimate them, and they were ready to give the Germans a good fight. First half was disappointing as both teams played carefully, apparently afraid to make mistakes, but the Germans having a slight overweight in possession. However, only two minutes into the second half Jurgen Klinsmann was clumsily brought down inside the Bulgarian area by Iordan Letchkov. Captain Lothar Matthäus made no mistake in scoring his first goal of the tournament. Germany’s lead had come on a cheap background, but things seemed to be going their way. Although the Bulgarians started putting more pressure and had more possession, the German routine and organisation was not letting them through. It had to be a moment of Stoitchkov’s genius that changed this. Fifteen minutes before time, Stoitchkov himself was brought down thirty meters from the German goal. He took the free kick himself; a perfectly placed kick above the wall and into the goal, without a chance for the goalkeeper Bodo Illgner from FC Cologne. Sensationally, Bulgaria had levelled the match which, as a tactical tightrope, seemed to be heading towards extra time. But only two minutes after the equalizer Bulgaria combined in the German half. The ball ended with the Levski Sofia midfielder Zlatko Yankov on the right side, who centered into the German area, where only Thomas Hässler was defending against Iordan Letchkov. The Bulgarian jumped forward in front of Hässler and scored on a quite spectacular header that stunned Bodo Illgner. Bulgaria was suddenly ahead, and the Germans seemed stunned. The German veterans were unable to put pressure under the hot New Jersey sun, while the Bulgarians suddenly had extra energy, and were able to defend their lead. All eyes were on the sensational Bulgarian dream team that had eliminated the world champions. In the semifinal they played Italy, who defeated them 2-1, and they also lost the game for bronze against Sweden, but none of this could take away that Bulgaria had taken the world with storm in 1994. Hristo Stoitchkov’s extraordinary free kick contributed to him winning the Golden Boot of the tournament (together with Oleg Salenko), as well as him on that year being awarded the title as European footballer of the year. Yesterday FC Barcelona and Inter Milan qualified for the 2009-10 Champions League semifinals. Today the other two semifinalists were to be found. I have for years said that one should look out for Olympique Lyon, but they have never made it beyond the quarterfinals. But today, they made history; after winning 3-1 at home, a 1-0 defeat to Girondins Bordeaux was enough to put them in the semifinal. The other match between Manchester United and Bayern Munich was a true drama that must make the Champions League proud. After a late 2-1 victory last week in Munich, the Germans had to defend their narrow lead. But Manchester United started like lightning, and were 2-0 up after only seven minutes, and even made it 3-0 before Ivica Olic made it 3-1, the score after a first half where the English team had looked far superior to the Germans. But as in the first match, the Germans never give up, as things also started to go against Manchester: shortly into the second half Rafael was given his second yellow card; with ten men and without an injured Wayne Rooney, United's pressure subsided. Fifteen minutes before time the Dutchman Arjen Robben scored a stunning goal that put Bayern Munich in the semifinals for the first time since 2001. It is a pity to see Manchester United out of the tournament, since they are a great club. However, they lost to a German team that will surely be interesting to watch, and that got a slight revenge for the legendary 1999 CL final where Manchester United defeated them 2-1 on two last minute goals. It is to note that this is the first time since 2003 without English teams in the semifinal (but I will not be one of the people to say that this means a decline of the Premier League) and the first time since 2004 with four different countries represented. Be sure that these will be thoroughly exciting matches! I have been praising Messi for a few years now, but this year he is awesome, and tonight, with his four goals against Arsenal in the Champions League quarterfinal, I am on my knees. Spain and Italy are two great southern European footballing nations that have produced some of the best players, and at club level have some of the most winning clubs in the world. That said, their trajectories at the level of national teams could not have been more different: while Italy has won the world championship four times and been in more finals, Spain has only one semifinal in 1950 to brag about. The misfortunes of the Spanish national football side have been discussed widely, and credited in part on the diversity of Spain with little attachment to the national team, as well as to the intense rivalry between the two major clubs, Real Madrid and FC Barcelona. Still, Spain has always entered a tournament as a major favourite, although never (yet) living up to the expectations. However, in 1994 the Spanish team came very close to success against Italy in a world cup where other major European powers (France and England) had not qualified. The Spanish side was coached by Javier Clemente, arguably one of the most unpopular coaches Spain had ever had, but who clung stubbornly to the job in spite of criticism about his style and what seemed an overwhelming selection of players from his native Basque country. Many of these players came from the extraordinary Barcelona side that had won the Spanish leagues from 1991 to 1994, and in fact their results had been quite good in spite of the heavy criticism against Clemente. Spain had started the tournament by tying South Corea 2-2 and Germany 1-1, while a 3-1 victory against Bolivia had given them the second spot in the group behind Germany. In the last-16 Spain had crushed Switzerland 3-0 and now saw their chance for world cup success as they were to face Italy in the quarter-finals. Contrary to Spain, Italy had not looked too strong in the tournament and had made it to the quarter-final on some very close calls: in the first round Italy had started out by losing 1-0 to Ireland in a match that was historical for the islanders. In the second match Italy had defeated Norway 1-0 on a goal by the Juventus midfielder Dino Baggio, and in their last match 1-1 against Mexico had been just enough to let the Azzuri through on one of the best third places. In the last-16 Italy was against the African debutants from Nigeria, who had sensationally won their group ahead of Bulgaria and Argentina. The Nigerians dominated the match against Italy and were leading 1-0 until two minutes before time when the extraordinary Roberto Baggio from Juventus equalized for the Italians, and in extra time scored on a penalty to give the Italians the place in the quarter-final against Spain in Boston, Massachussetts. The match between the two northern Mediterranean teams was to be very dramatic, with the Italians starting out the best against an apparently nervous Spanish side with more possession, and Roberto Baggio having an excellent shot deflected by Albert Ferrer to corner kick after 15 minutes. And 25 minutes into the first half Italy went ahead: the AC Milan midfielder Roberto Donadoni passed the ball to Dino Baggio who spectacularly shot from 30 meters and scored without a chance for Barcelona’s (Basque) goalkeeper Andoni Zubizarreta. Although Spain tried moving forward, and increased possession, Italy was the better team in the first half and was leading as well. But in the second half Spain attacked more, with Italy increasingly and as usual relying on their counter-attacks. But it only took fifteen minutes into the second hand before Spain nevertheless equalised: Barcelona’s offensive left-back, Sergi, rushed forward on the left side on a quick Spanish counter-attack and centred low before the Italian defence was in place. A Spanish player jumped over the ball which went to Atlético Madrid’s elegant midfielder José Luis Caminero, who had enough time to try to curve the ball into the goal outside of Gianluca Pagliuca’s reach with the help of a small deflection from an Italian defender. Spain suddenly smelled Italian blood, and started to press on, but without luck. In the 83rd minute the Barcelona striker Julio Salinas missed a golden opportunity alone with Pagliuca, but shot weakly right on the Sampdoria goalkeeper’s leg. Also, the Real Madrid defender Fernando Hierro had a good shot from outside that just went over the crossbar. But as often happens in football, Italy went ahead instead on a splendid counterattack following one of the Spanish chances: a long ball from the Italian defense caught the Spanish defense off guard as two Italian players rushed forward. The ball dropped towards the Lazio striker Giuseppe Signori, who with the tip of his toe managed to tip the ball over a Spanish defender to his right side, where Roberto Baggio was running alone. With great skill Baggio controlled the ball immediately, and elegantly and quickly went around the onrushing Zubizarreta. Although the angle to shoot was getting very small, Baggio made no mistake and hammered the ball into goal as a Spanish defender desperately tried to block on the goalline. The Italians were off course delighted, while the Spaniards could do nothing in the last minutes but push forward. In the last minute of the match the Real Madrid player Luis Enrique was brought down in the Italian area by the AC Milan defender Mauro Tassotti during a cross. The Hungarian referee, Sandor Puhl, gave nothing to the Spaniards, while Luis Enrique got up with a bleeding face from the elbow Tassotti had given him. The TV pictures clearly showed the infraction and Tassotti was banned for eight matches, but this was a poor consolation for the Spaniards who went out of the tournament. Spain obviously felt badly treated by the referee and by the Italians, who had nevertheless played their best game of the tournament. The Italians went on to defeat Bulgaria 2-1 in the semifinal on two goals by Roberto Baggio who had become their saviour in the tournament. In the final, Italy nevertheless lost to Brazil on penalty kicks, after Roberto Baggio missed his crucial kick…. The Spanish sides continued to have an Italy-complex that was perhaps only broken in 2008, when they defeated Italy in the quarterfinals of the European championships and went on to win the tournament. World Cup glory has still continued to elude Spain. After travelling for a day from Caracas by land, I arreived to the city of Mérida in the Venezuelan Andes last Wednesday. As I was set to go to the mountains the following day I had a full day in this cozy city, where my mission was clear: find a place to watch the CL quarterfinal between Arsenal and FC Barcelona. It was not clear where, and I initially asked some people who said I could check out any place. However, I wanted to be sure, and when I saw a guy dressed in full Barcelona gear near the central Plaza Bolivar, I asked him, and he directed me to a small local bar, "La Cibeles". Good place, with good atmosphere, plenty of people (all of whom were supporting Barcelona; Arsenal doesn't have much following here, and anyone who did, was mainly because they are Real Madrid supporters) and beer. It was truly a spectacular match: Barcelona was incredible; the display of power in the first 15 minutes was overwhelming; true show of force in making a fool of a team that is supposedly one of the best in Europe. That it was 0-0 at half-time was more a miracle of the footballing gods who in the first half were wearing an Arsenal shirt and had blessed Arsenal goalkeeper Almunia, who had some spectacular saves. Early in the second half FC Barcelona finally went ahead on a nice lob by the highly criticised Zlatan Ibrahimovic. I personally believe he still has a lot to show, and that he still doesn't completely fit into the Barca team. However, his quality is undisputable, and he soon after also made it 0-2 for the Catalonians. Arsene Wenger put on the young Englishman Theo Walcott (only Englishman on the team) and it was fitting that he soon after scored one for Arsenal. Barcelona should here be criticised for having let Arsenal back into the match, but the English team must also be commended for continuing the fight being down 0-2. That is how they showed they are a great team. And towards the end of the match they managed to equalize when Carles Puyol committed a clumsy penalty, and the young former Barcelona starlett Cec Fábregas scored on the penalty. Puyol got a harsh red card, and he will surely be missed in Barcelona for the next match, although Fábregas will also be out for Arsenal because of 2 red cards. The splendid match ended 2-2, and the Barcelona fans in "La Cibeles" were somewhat disappointed, although it should be considered a good result before they play in Barcelona next week. I was happy for having watched a splendid football match, and had another beer. It was a perfect way to start some days in the mountains, with such splendid football! The match between Russia and Cameroon in the first round of the 1994 was completely irrelevant for both teams. Russia had lost their previous two matches 2-0 and 3-1 to Brazil and Sweden respectively, while Cameroon had tied Sweden 2-2 and lost 3-0 to Brazil. This meant that while Cameroon had a small theoretical chance of progressing, Russia was out. With Brazil and Sweden tying 1-1, the match was nevertheless irrelevant. Still, the match in Stanford, California, is worth mentioning since two incredible records in world cup history were made in the same match. After 15 minutes Oleg Salenko, striker from the CD Logroñés in Spain, opened the scoring for Russia, and by half-time, the same player had made a hat-trick by scoring two more goals (one of them on penalty). Cameroon, an ageing team that had been the sensation of the 1990 World Cup where they made it all the way to the quarterfinals, was being humiliated, and the saviour from the 1990 World Cup entered the pitch, the 42 year old Roger Milla. Roger Milla had played some years in France during the 1980s and in 1976 had been awarded the African Footballer of the year award, but his career came came to the wider world’s attention in 1990 when, at the age of 38, he had controversially been selected for the world cup squad after Cameroon’s president had put pressure on the coach. Entering against Colombia in the last-16, he had scored the winning goal, and had been instrumental in Cameroon’s 2-1 lead against England in the 1990 quarter-finals. Then, Milla had been the oldest player to score in a World Cup. As he entered the pitch against Russia, it was only one minute before he beat his own record when scoring as he strongly held off a Russian defender in the penalty area and placed the ball in the goal. Roger Milla’s record as the oldest man to score in a world cup is unlikely ever to be beaten. However, this was not the first record to be broken. Cameroun was unable to score again, and instead Russia, and notably Oleg Salenko, proceeded to tame and destroy the African lions. Halfway through the second half Oleg Salenko scored his fourth goal on a comfortable right-foot shot after a quick Russian attack. Only eight players before Salenko had ever achieved the feat of scoring four goals in a world cup match, the last being Emilio Butragueño in 1986, when Spain defeated Denmark. However, no player had ever scored five goals in one world cup match, and this was exactly what Oleg Salenko achieved only three minutes later, when he scored a fifth for Russia on a quick attack that tore apart the tired African defense. To this day Oleg Salenko remains the only player that has scored five goals in one world cup match. Dmitri Radchenko from Zenit Leningrad scored a sixth for Russia before the end of the match, but that is only an anecdote in a match that had already seen two world cup records. Oleg Salenko only played eight matches for Russia, and his club career was not prominent in spite of his talent, playing for Valencia, Glasgow Rangers, Istanbulspor, Córdoba and Pogon Szczecin with mixed success. In spite of this, he remains in the history books because of his record in this match, and including the goal he had scored against Sweden, he became top-scorer of the tournament together with Bulgaria’s Hristo Stoitchkov.